We are at a time where payments for products and services are all probably made through computers and mobile applications over Internet. Yet we still have to fill a lot of paper work and visit the Banks few times in order to avail credit or loan. MoneyTap, a fintech startup is about to change the way credit is availed through the company’s App-Based Credit Line, in partnership with banks, and directly targeted at consumers. 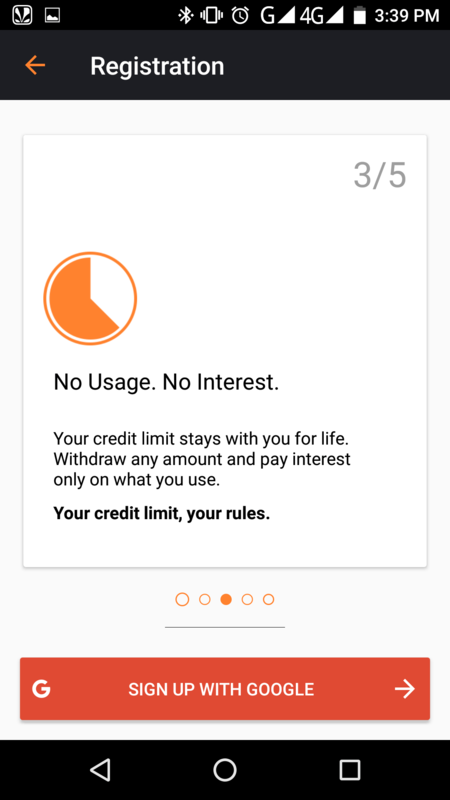 Credit Line means that the partner banks will issue a limit of up to INR 5 lakhs, without any collateral or charging any interest after which MoneyTap users can borrow as little as Rs. 3000 or up to Rs. 5 Lakhs. The amount can then be repaid in EMIs with tenure from 2 months to 3 years and the interest only for amount used which can be as low as 1.25% per month. Once the borrowed amount is paid back, the limit gets automatically replenished to the consumer. Any salaried employee can download the MoneyTap application right now and get instant credit of up to Rs. 5 Lakhs. 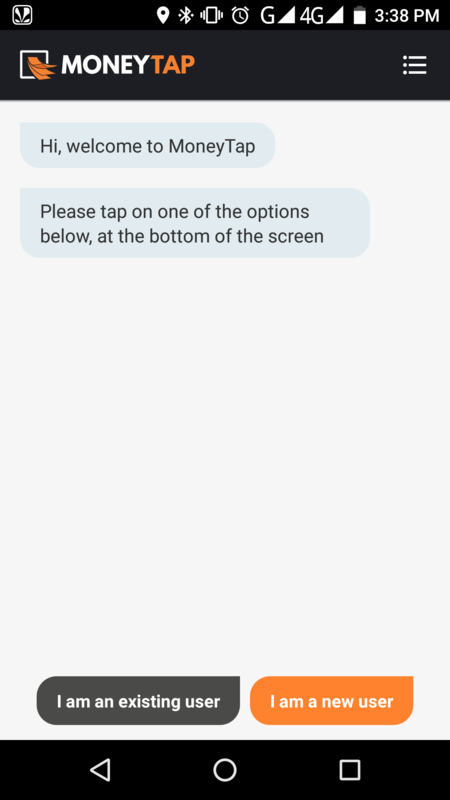 The application’s Chatbot interface collects all the information typically required by banks and securely connects with the banking systems to give the users not only an instant approval but also a credit limit, depending on individual credit history. The picture below depicts the process flow that happens right from the first step of application download to credit approval and repayment. As evident from the above flow, the users have to submit KYC documents once the credit is approved and the final approval is given after the banking systems verify the documents submitted among which Aadhaar number is the important one. Then the amount and EMI tenure is chosen, immediately after which the money is transferred to user’s bank account. Qualified customers, after completing the KYC, will have to pay a one-time Line setup fee of Rs 499 (plus tax) tax in their first month bill from RBL Bank. 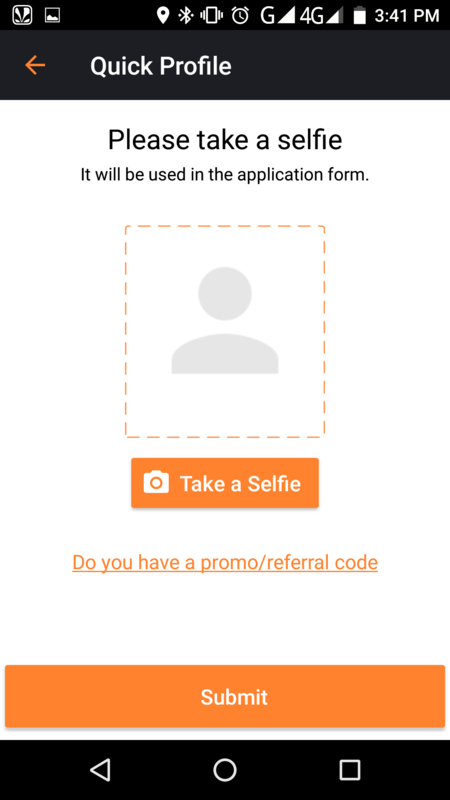 At the time of writing this article, MoneyTap app is only available on Android Playstore and for the salaried employees living in Delhi NCR, Mumbai, Bangalore, Hyderabad and Chennai. The company is already in plans of expanding the service to other cities in India within next few months. The RBL Bank, one of India’s fastest growing banks has partnered with MoneyTap for the credit line process. RBL’s technology will be enabling MoneyTap for instant decision making and instant access to money on all days (including holidays). Even though all actions are initiated on the MoneyTap app, per RBI guidelines, all financial transactions such as billing, repayment or withdrawals will directly be with the bank using secure APIs. For shopping needs, a “MoneyTap RBL Credit Card” is also provided for the application users which is a regular MasterCard Credit Card that is accepted at all locations and for all card purchases – offline and online. 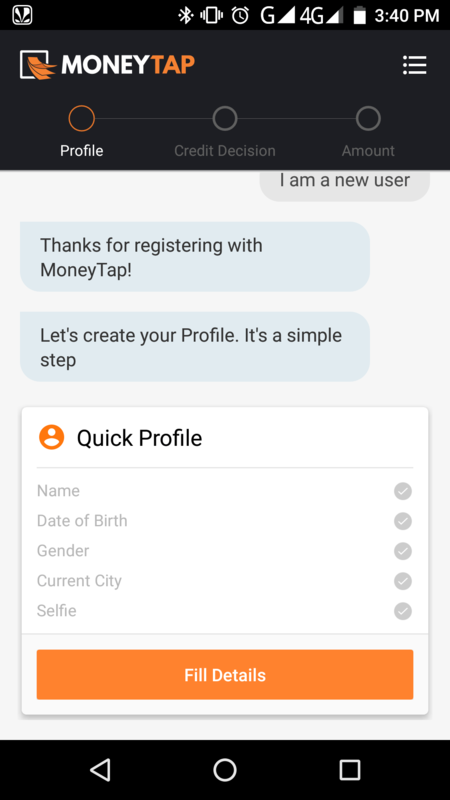 Some of us tried the MoneyTap application and it was pretty good. The approvals were instantaneous and mostly accurate which we could confirm based on few of our colleagues’ previous interactions and applications with the RBL bank. We hope the company expands the service to many more cities and rural areas in our country because the app could be of immense help to all the middle class salaried employees who might at times need money for urgent needs like weddings, medical emergencies or any other personal reasons. You will find more info about the company and the success stories on their website MoneyTap.